#Ekstraklasa Magazine Issue 4: Out Now! 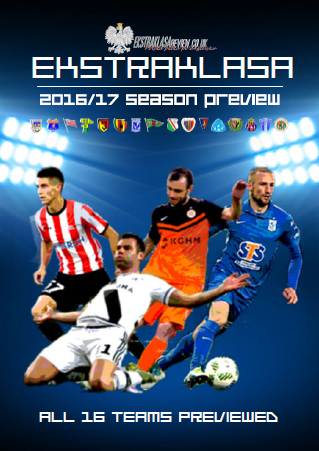 With the culmination of the 2012/13 season, the #Ekstraklasa Magazine team are pleased to bring you our “season review” Issue Four. Featuring work from #EM regulars Marcus Haydon, Michał Dzida and Andrzej Gomołysek, as well as newcomers including Tomasz Galiński, Mike McKenna and Dawid Kosmalski, Issue four offers up topics including Górnik Zabrze, Dariusz Wdowczyk, Ivica Vrdoljak, and much more. The new edition also features a season review from the fans’ point of view, as sixteen Ekstraklasa supporters give their thoughts on their sides’ performance during the 2012/13 campaign. • A commentator’s view of the Ekstraklasa season. The Magazine is available as both to view online, and as a .PDF Download (15.2mb) to allow offline viewing.